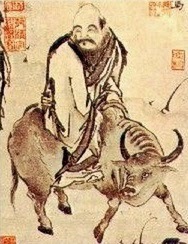 The Tao Te Ching is an ancient Chinese wisdom text, often thought to have originated in 600 B. C. It is attributed to Lao Tzu, but even his existence is debated. It is a classic text in the Chinese cannon, and has been translated numerous times. The last few years have brought us perilously close to an unspoken fear that we are losing the battle against violence, and that the climate of relative decency we have known is no longer holding firm. Or even that, if we do not do our best to battle against it, we may be facing the start of an unlawful age. Ellen Hinsley is a poet of extremely refined and meticulous taste. For years, she has investigated the recent events of Europe, especially the crimes and atrocities that have taken place after World War II. She is extremely reflective in her writing and her poetry is the result of a sensibility thoroughly grounded in the traditional humanistic tradition. She is highly intellectual. She deals with the fundamental questions and provides no easy answers. Her work is challenging to those who seek soft answers to essential questions, such as, is the human species inherently prone to violence? How can we deny our own culpability in committing destructive acts against the "enemy" as well as the innocent (most of war's victims are civilians)? But also, we must ponder, how is it that regeneration so often follows destruction? Her work also brings us to another key question: how can we immerse ourselves in the uplifting work of such writers as Rumi, Hafiz, and Kabir, when the world around us appears to be going up in flames? How can we dwell on the bliss states of Kundalini when so many across the globe are suffering extreme deprivation and pain? 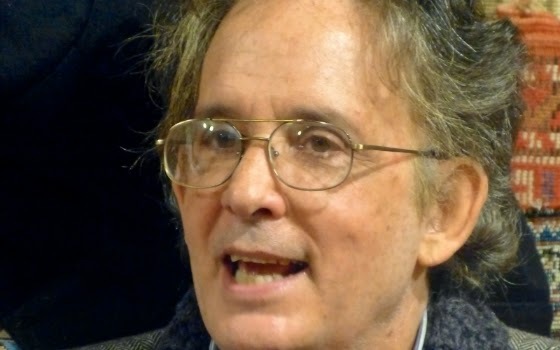 What good is sacred poetry to someone facing a death squad in the Middle East? Are we indeed facing the actual destruction of Western Civilization, in an era when all moral law and respect for human life are abandoned? What might the future hold? Are we facing the imminent arrival of a new Dark Age, such as followed the collapse of Rome in a regression which lasted centuries before the Renaissance brought recovery? However, whatever happens to our world as it currently exists, Kundalini itself will remain, for it is the creative life force of the universe itself. Its currents pulse throughout the cosmos, in every atom and particle that exists. To speak of a massive leap of humanity to a new level of consciousness as a result of such chaos may seem naive, but even that is a possibility. And if humanity does not survive the destruction, then new worlds will be created, new universes formulated, and new species spring forth in this unknown future. In the meantime, we cling to our beloved sacred poets, who give us strength to survive and hope for our future. 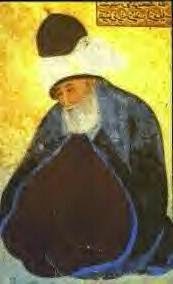 As Rumi said, we must dance no matter what dangers surround us in our current world. What is Kundalini--from internet at "The Human Angels"
I found this intriguing piece on the internet on a site called "the Human Angels". It is one of the very best summaries of the Kundalini experience I have found, but no author is listed. When I tried to contact them at the e-mail address they give, I was told that the site does not exist. The archives cease at 2012. We are Human Angels and Lightworks. We are here to educate and share our gifts. We are called Indigo, crystal, Rainbow,and Star children. There is so much information out there. I am a crystal child and a very young one. I hope my message will open your eyes. What is Kundalini? What is Kundalini? More than fifteen years ago, when I was twenty-two, I experienced something known as a “kundalini awakening”. When it happened, I had no idea what had occurred. I didn’t have a spiritual teacher or guru on the somewhat meandering spiritual path I’d embarked on a few years earlier. I’d started practicing hatha yoga, read voraciously everything from "The Tibetan Book of Living and Dying" to Carlos Castaneda, meditated alone in the desert, practiced deep emotional release, went to workshops and spiritual gatherings, and in the process met many others also reaching for a higher state of consciousness and a more meaningful experience of being. It was still completely out of the blue and totally mind-blowing, however, when I experienced my kundalini energy awaken, or arise. There are many, many different types and expressions and experiences of spiritual awakening. Sometimes it’s simply a revelation or epiphany that leads one in a completely different direction, one focused more on spirituality and inner searching. Spiritual awakening can mean seeing angels, or contacting and channeling an alien entity. An experimental trip, such as in a teepee ceremony or sweat lodge, can lead to discovering and embracing a previously unknown part of oneself; or to communing with some aspect of the divine. Spiritual awakening can lead to the ability to see people’s auras, talk with the , or leave one’s body and explore the astral planes. Kundalini awakening, however, is something else. It can come about as a result of some of these other experiences, as it did in my case. And it can also lead down the road to activating some of these otherworldly phenomenon, and others. In essence, kundalini is simply energy. Specifically, it is spiritual energy, which resides in every human being. Kundalini means literally “coiled serpent”. Figuratively speaking, the coiled serpent represents a reservoir of spiritual energy which lies at the base of the spine, in the root chakra, coiled up because in most people it is latent or potential spiritual energy which the person is for the most part unaware of. Through yogic or other spiritual practices, or sometimes due to subconscious individual efforts or even completely randomly, this energy can be awakened in an individual; in which case the energy is tapped into and begins flowing upwards from the root chakra through all the chakras along the spinal column, culminating in unification with the uppermost crown chakra at the top of the head. Like spiritual experiences in general, kundalini awakening takes wildly different forms for different people. The differences can range from experiences of pure bliss, to sheer . 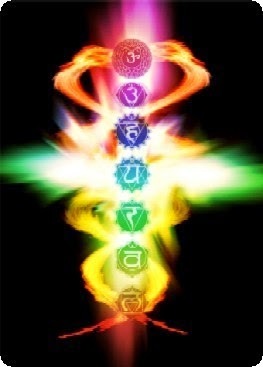 The unifying experience is that of this rising of spiritual energy that invigorates and activates the chakra system, those six or seven (depending on who you ask) energy centers located along the spinal column, each of which corresponds with some integral aspect of the human spirit. To summarize the chakras briefly, the first chakra, or root chakra, is located roughly at the base of the spine, specifically at the perineum at the bottom of the abdomen, right between the legs. 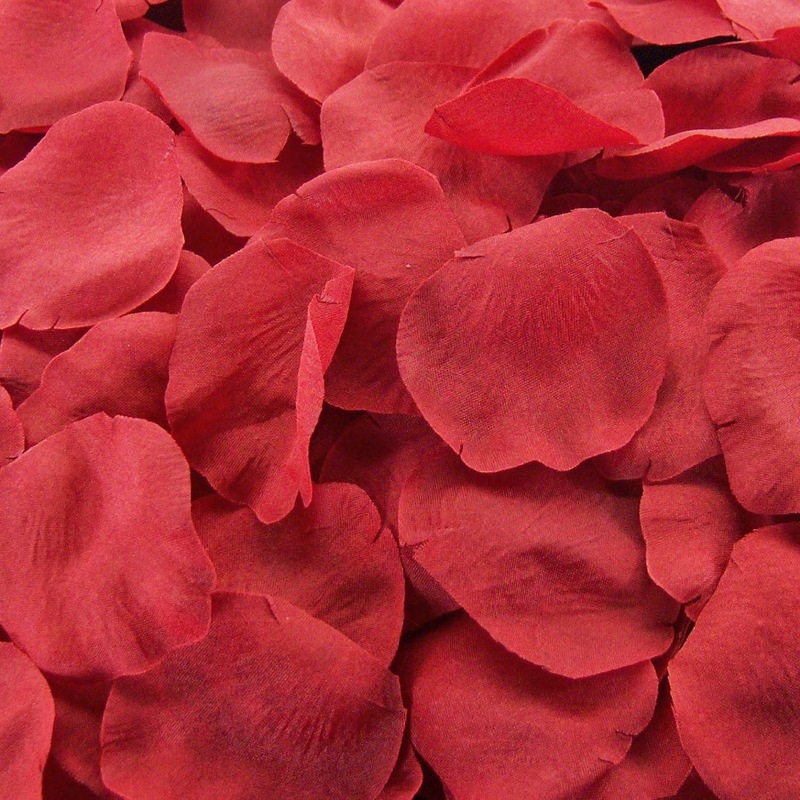 It is associated with the color red and with basic root power, pure potential energy. The second chakra is midway between the perineum and the naval. Its color is orange, and it is associated with ual and creative energy. The third chakra is in the naval and belly region. It is yellow and is associated with emotions, feelings and intuition. The fourth chakra is at the center of the chest, in the heart area. It is green and is associated with feelings of love, unity and balance, as it is the midway point between the upper and lower chakras. The fifth chakra is located in the neck and throat. It is a light blue and is associated with the voice and personal expression. The sixth chakra is at the third eye, in the middle of the forehead. It is indigo, or a deep blue, and is associated with the eyes and with spiritual sight and visions. The seventh or crown chakra is at the very top of the head. It is purple (a combination of red, the root chakra and deep blue, the sixth chakra) and is associated with oneness and enlightenment, and a connection to the rest of the universe. Some alternatively say that the crown chakra is actually white, the unification of all the colors. And others say that there are further chakras, the eighth, ninth or tenth which are located above the human body, connecting us with various aspects of the universe or other dimensions, and which might be white, gold, silver or other colors. This is of course open to discussion and interpretation. It isn’t particularly important that everyone agree on the specifics. But it is significant that so many across so many spiritual disciplines agree with the idea of these energy centers in our own human physical forms that connect us to spiritual energies, and ultimately to the divine. So, kundalini energy originates from the root chakra, and it is that base, pure power that invigorates our spiritual awareness and brings our full human potential to fruition. And as mentioned above, it can result in a wide array of sensations, from bliss or to and anger and everything in between, as it is a highly potent force. In my case, the initial experience of kundalini was in the latter category, one of extreme inner challenges to say the least. One of the reasons this can be the case, is that kundalini energy is like a fire hose of energy whose innate purpose is to cleanse the chakras of any blockages or disturbances, and bring them back to their full, vibrating potential. And like a fire hose that has been switched on, it is a force to be reckoned with; and once switched on it apparently can not simply be switched back off. Once the energy is gushing forth, rising up the chakra system, it will come into contact with each of the chakras and if met with resistance in the form of blockages, past traumas, denied emotions and memories, guilt, judgments and all the various frozen energy we hold in our human souls that keep us from vibrating fully; then the kundalini energy will awaken these like a spotlight shining into a dark and dusty attic. Kundalini energy has a single-minded mission, and that is to reunite with the crown chakra. I say reunite because it is also a matter of returning ourselves to our natural state; that of oneness between all aspects of our multi-faceted souls, as well as with the spiritual realms beyond our normal, waking perceptions. The process of this reunification is where things can get difficult and frightening and for some can seem nearly impossible to resolve at times. The symptoms of kundalini awakening are extremely wide-ranging. Some people simply experience a stream of blissful energy invigorating their soul. Some might find themselves kept awake, unable to sleep and not needing to for days at a time, instead practicing art or music propelled by a constant flood of creative energy. Some people find themselves spontaneously assuming yogic positions or else reciting chants, perhaps in languages they have never spoken before. Still others might find themselves seeing other realms or dimensions, hearing voices or seeing before them non-physical entities, or perhaps having visions of the future, or peering into the ancient past. For many, myself included, kundalini awakening is a more localized experience which brings about a barrage of assorted energetic symptoms on the physical, mental and emotional planes, that can be downright bizarre and highly unpleasant or even excruciating. In my case, I experienced a sensation as if a fire were burning at the base of my spine, raging up my spinal column. I had electrical shocks occurring all throughout my body, and flashes of light seemingly before my very eyes, as well as outside of my normal field of vision. I felt as if I were simultaneously being crushed, and pulled apart by a powerful force of energy that I couldn’t have previously imagined. For months after my experience of kundalini awakening, I was accosted by a constant onslaught of such symptoms, to the point that I was certain there was no way that what I was going through could be resolved. Fifteen years later, I can say that he was exactly right. The purpose of kundalini awakening is not simply to give us an experience which we will then look back on and say that it changed us to some extent. Instead, its purpose is to awaken a source of spiritual energy within our souls which will connect us with our full potential and with the rest of the universe, and which will bring us into a new normal of expanded consciousness and heightened awareness of both the world around us, and the infinite and eternal realms within and far beyond us. Ultimately, it is my understanding that kundalini awakening is the path to enlightenment and Christ consciousness. Maybe that’s not entirely accurate, and enlightenment is one of those things that itself has many different forms, depending on the seeker and the teacher. After fifteen years of walking this path, all I can say is that I still have a long ways to go, as it‘s a lifetime process. But I do believe that contacting and awakening this energy is truly the most important aspect of healing that humanity needs to undergo during this time of monumental upheaval and transformation on our planet. Why? Because I have experienced with glimpses and brief moments of clarity and illumination the depth of blissful remembrance and all-encompassing wholeness which kundalini brings about. And in that state of oneness and knowing and connection with All That Is, there is no wanting for anything else, and the incessant problems that plague our world cannot continue to haunt us. Humanity has come to a crucial crossroads, where we can’t simply keep on going forward as we have been for the past several hundred years of accelerating technological progress, unguided by a true connection with our own selves and with the universe as a whole. Humanity needs to make a huge, critical leap of evolution and of consciousness in order to begin relating with our own world and with each other in a completely different way. And kundalini has the power to bring about this critical transformation of humanity, one person at a time. Finally, I would like to offer a few helpful ideas for anyone who is undergoing kundalini awakening symptoms, particularly those of the unpleasant variety. First, I would suggest finding a range of books and other writings on the subject and read as much as possible so that you have a better understanding of kundalini, what the process is likely to be like and what some of the possible solutions and helpful practices are that go along with kundalini awakening. And if there is a teacher of some sort available who is experienced in the matter, either from direct experience or else from studying the subject for many years, then of course they might be very helpful with things. But many people seem to find, as in my case, that ultimately you’re strapped in to a roller coaster ride alone, and you have to figure out how to deal with it to a certain extent by your own devices. Kundalini manifests itself differently in every individual, and so the solutions and path of healing can also be highly unique for each person. What I always suggest most of all, is to find some form of physical practice that will help to ground and anchor the energy into your physical body. Yoga is of course closely associated with kundalini energy, and is perfectly designed to both arouse the kundalini initially, as well as help in channeling and processing the energy once it is awakened. But there are many other things that could be helpful as well, such as tai chi, chi gung, pilates or martial arts. Anything that combines some physical exercise with a focus on spiritual development, and especially attention to breathing is bound to be helpful. And even such things as walking, running, swimming, hiking, biking or other outdoor activities might prove extremely beneficial in helping the energy to make its way through the chakra system and the nervous system. Getting outside and connecting with nature in general is highly recommended. Although it is a non-physical force, kundalini works within and through the physical human form, and so one’s focus should be on the physical plane as much as the spiritual, especially during the early stages. In other words, don’t simply lock yourself away in your room in a state of spiritual turmoil, thinking there’s nothing that can be done to change these oftentimes strange, bewildering and overwhelming energetic experiences. This will only insure that it will take even longer to go through the process, because the energy must be engaged with your body in order to bring about the changes that will eventually result in a profound transformation of your energetic and physical being. By making an effort to work with the process, you can make a huge difference in moving and guiding the process along. And when in doubt, keep in mind the advice from a wise teacher: “Ask, and ye shall receive.” Because the universe is indeed listening. Gabriel Morris is author of the spiritual adventure story "Kundalini and the Art of Being", which recounts his own profound experience of kundalini awakening and spiritual journey, all while semi-homeless and hitchhiking around the western United States during the mid-1990s. 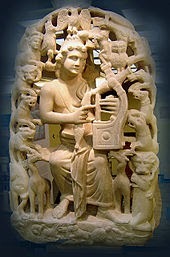 More info about his travels and writings can be found at http://gabrielmorris.bravehost.com. Thank you for your blog. It has been very helpful to me. I have been going thru this for 2 years to this day. This started for me 2.14.09 through the present 2/14/11. I now have a tool in which to guide me the rest of the way. Thank you for joining my page. I welcome all indigo, crystal, rainbow, star children. We are here to change the work with your light and new wisdom. The Human Angels Indigo, Crystal, Rainbow, Star children. Watermark template. Powered by Blogger. This is a real "power couple." Don't miss it--it's free! I'm writing to let you know about an unprecedented collaboration with two of the most luminous, brilliant and groundbreaking spiritual teachers of our day: Sally Kempton and Andrew Harvey. They're joining forces for a potentially life-transforming event especially for anyone who wants to experience a more feminine path of empowerment, awakening and service. You can receive their unique transmission of love and guidance this coming Wednesday during their free virtual presentation: Embraced by the Evolutionary Goddess: Awakening Your Sacred Powers to Transform Yourself and the World. If you want to discover more of yourself and your capacity for divine love, passion and authentic power to make a difference in the world, you'll definitely want to listen in! Sally's teachings are rooted in Hindu nondual traditions, and her recent book, Awakening Shakti, serves as a rallying call for a new wave of feminine mysticism that builds upon ancient wisdom. Andrew has spent 30 years in advanced scholarship and practice within nearly all the major global wisdom lineages, emerging with an electrifying vision that shows why it's so vital to reclaim the sacred feminine and enact the sacred marriage of masculine and feminine within each and every one of us. How to dissolve the tyranny of sin, shame and oppression around our bodies, pleasure and life itself. Why the Goddess is central to empowered sacred action and service. How Goddess energy can up-level your personal and transpersonal power. The difference between egoic desire and enlightened desire, and how to know when your desires are aligned with your highest truth. You'll discover how to reclaim the great She at the core of your life -- as the impulse that is driving you to evolve a more conscious, compassionate and just life. PS - In Embraced by the Evolutionary Goddess: Awakening Your Sacred Powers to Transform Yourself and the World, Sally and Andrew will light the way to a distinctly feminine path of empowerment in which the Goddess can come "off her pedestal" and into your heart, mind and body as an active catalyst for your awakening and worldly service. This Sunday, March 29th marks Beyond Awakening’s 100th episode! I’m excited to be joined by Mark Nepo at 10am Pacific for a dialogue we’ve entitled The Practice of Being Human: Seeing with New Eyes in the Best and Worst of Times. Mark Nepo has been called "one of the finest spiritual guides of our time," "a consummate storyteller," and "an eloquent spiritual teacher." His books have been translated into more than twenty languages. He is a cancer survivor, a journey which had a deep, spiritually formative impact on him. In his 2013 interview with Oprah on Super Soul Sunday, he reflected on how this journey brought him to the belief that listening with a full heart is the key to living a vibrant and meaningful life. After contemplating the animating question of this series — how can higher consciousness enable humanity to rise to the challenge of our world's increasingly urgent, complex and intractable crises? — Mark quoted Charles Dickens’ opening to A Tale of Two Cities, saying that our time, like every time, is both “the best of times and the worst of times.” As one thing intensifies, it all intensifies. He is concerned by the enormous environmental, social and political challenges of our time, but Mark sees the whole human experiment as innately hopeful. I’ve written a longer blog post that says much more about what we’ll be discussing here. I hope you’ll tune in! As a poet, teacher, and storyteller, Mark has been called "one of the finest spiritual guides of our time," "a consummate storyteller," and "an eloquent spiritual teacher." His work is widely accessible and used by many and his books have been translated into more than twenty languages. He has published fifteen books and recorded nine audio projects. Recent work includes The Endless Practice, his latest book of poems, Reduced to Joy, and Seven Thousand Ways to Listen. He became a number one New York Times bestseller with The Book of Awakening . Mark has appeared several times with Oprah Winfrey on her Super Soul Sunday program on OWN TV. Mark devotes his writing and teaching to the journey of inner transformation and the life of relationship. He continues to offer readings, lectures, and retreats. Recently, someone wrote to me asking about Indigo Adults and their possible connection to Kundalini. Here is the substance of my reply. She began her letter asking first about the significance of seeing colors and images during her meditation. Frankly, I do not see anything all that unusual in your experiences. Many meditators see color when they meditate, and indeed others see figures and forms, particularly when they are undergoing Kundalini awakening. I cannot explain this except to say that meditation, and particularly when it is coupled with K. awakening, literally stirs the centers in the brain to produce novel patterns and images. This is nothing to fear. I speak from long experience of similar responses, particularly in the beginning stages of the journey. I think you would benefit a lot from reading this and other related sites, for these offer a description of this type of person. Be sure to read the reader comments that follow. Many say how pleased they are to find others who share their temperament and inner nature and are relieved to discover that they are "not the only one." Did you know that the term indigo as applied to children simply means that they fall into this category on a color chart which a woman (the psychic Nancy Tappe) set up years ago to describe various kinds of children. I assume that "indigo adults" are simply those who also fall into a similar category. The color indigo does not describe the color of their skin and does not necessarily apply to the color of their auras (as far as I know.) I happen to see auras always in some shade of indigo/violet/purple and I think I am simply picking up on the spiritual qualities of those I am watching. Thus when someone sees indigo in your aura, I think that observer is simply noticing the spiritual aspects of your nature. As for kundalini and indigo children and adults, I suspect there may well be a connection, since Kundalini implies a deep spiritual engagement with the divine energies of the universe. I also think that the term "indigo child or adult" simply describes a type of person who has long existed in society, though not by this name. These are the ones who often "do not fit in" with their peers. They are preoccupied with other, perhaps deeper, matters. They are not the prom queens and kings or the football heroes. They are busy reading books, communing with nature, or pondering questions such as the meaning of life. William Wordsworth said of his early years that he was "not of this time, not of this place." Mary Oliver, obviously an indigo child and adult, often skipped her classes in h.s. so that she could rove the woods and valleys and connect more deeply with nature. Some of my most admired and creative friends dropped out of college, for they found the classes boring and irrelevant. I actually have a personal theory which is that those who were lonely and felt out of place as young people often are the ones who go ahead to become extremely creative in the arts and sciences later in life. They are often the change agents, the ones who bring innovation into the culture, for they are able to "think outside the box." What Goethe called "mass man" is often afraid of change, for such persons cling to the known and familiar, the safety of the "group think." What would happen if the world followed these simple precepts? 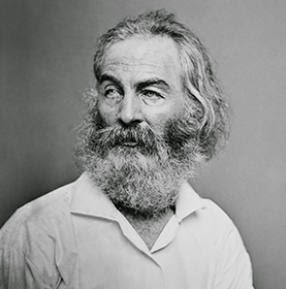 Whitman was, of course, gay, a fact that is generally omitted from the schoolbooks and reprints of his work. He was also kind, loving, generous, and immensely talented. He broke the rules for poetry and the result was a totally independent voice in American literature. Emerson first hailed him as a new and exciting poet, but later threw his books into the fire when he discovered that some contained homosexual content. During the Civil War, he spent his time visiting the wounded in the Union hospitals, and continued his visits even after the war. "...behind all the discernible laws and connections, there remains something subtle, intangible and inexplicable...beyond anything that we can comprehend....A spirit is manifest in the laws of the Universe— a spirit vastly superior to that of man, and one in the face of which we, with our modest powers, must feel humble....If this Being is omnipotent, then every human action, every human thought, and every human feeling and aspiration is also His work....It is determined for the insect, as well as for the star. Human beings, vegetables, or cosmic dust, we all dance to a mysterious tune intoned in the distance by an invisible player....Human beings in their thinking, feeling and acting are not free, but are as causally bound as the stars in their motions." "To know that what is impenetrable to us really exists, manifesting itself as the highest wisdom and the most radiant beauty, which our dull faculties can comprehend only in their most primitive forms — this knowledge, this feeling, is at the center of true religiousness....What humanity owes to personalities like Buddha, Moses, and Jesus ranks for me higher than all the achievements of the enquiring and constructive mind." An extremely rare astrological event is occurring on March 20. 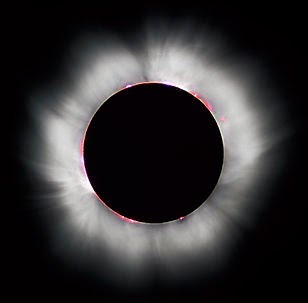 Among other things, a total solar eclipse will occur on the March equinox. Many new beginnings will occur, and many endings will also take place. This is the time to discard old possessions and ideas, and to begin or complete many creative and spiritual projects. One can utilize the extreme energies now surrounding the earth to launch new life directions and make plans into reality. This description below tells what to look for. And my astrologer friends tell me that other unusual phenomena will also be occurring. Don't let this special opportunity pass! Seize the moment and go ahead and fulfill your dreams, with the support of the universe itself! This event cannot be seen from most of North America, but its effects will be felt. On March 20, 2015, three extraordinary celestial events converge: the March equinox, a total solar eclipse, and a New Moon which is also a Super Moon. Many of us make New Year’s resolutions in January with high hopes. But it’s easy to lose sight of these commitments to ourselves during the hurry and stress of our daily lives. The cosmic events on March 20 will invoke powerful energies in and around the Earth. We invite you to connect to these energies as you renew your resolutions. We are fortunate to live in a century in which the equinox and solar eclipse will converge four times. The last solar eclipse during the March equinox was in 1681, and after the 21st century, the next occurrence will be in the year 2387, so this is truly a rare event. Important note: Please remember that safety is important when looking at or toward the sun. Eye protection is mandatory when watching a solar eclipse. A solar eclipse can only happen during a New Moon, when the moon passes directly between the sun and Earth, casting its shadow over the sun. The combination is especially powerful this month because the New Moon is also a Super Moon, meaning the moon is at its closest orbital approach to Earth. The Super Moon appears larger than an ordinary moon and also presents the greatest gravitational pull on our oceans and tides. The March equinox is a time when people might naturally feel invigorated and motivated to make changes in their lives. We could yearn to clean house, so to speak—to throw out old ways of doing things that no longer work for us and find new routines that unlock deeper levels of joy in our lives. The New Moon is a time to renew our commitments. It is an invitation for us to devote more attention to what is most important in our lives—to focus our efforts on that which makes us feel vibrant and full of life. We encourage you to engage in a New Moon Action to solidify this commitment. Take the time to write out your affirmations and wishes during the time leading up to this new moon, as the immense power and energy created by the universe will provide extra strength to you in following through on your promises to yourself. Meditate on what you want to see happen in the world. Take a long walk in nature. Make it a daily practice to open your heart to new possibilities, and you will be surprised by what you become capable of accomplishing. Today was my birthday, so it seemed appropriate to offer this gift to you. And, yes, I am Scotch Irish and love that country very much. It is a place where the sacred energies run right up from the ground and bring bliss into your body, especially if you have an awakened kundalini. Kundalini is not just personal--it animates the entire universe and when we feel it we know we are part of the sacred flow of divine rapture. Many of us experience "dry periods," when all of our "awakening" states seem to vanish for unknown reasons. Our bliss, our love making with the Beloved, have gone away--we are left in a state of lost connection, and we are convinced that we will never return to our earlier experience of transcendence. I have undergone this period of seeming loss many times and have announced that "Now it is finished. I will never again enter that divine moment of connection and rapture again." But--then, for some reason, it returns--sometimes stronger than ever, even years after the original experience. A friend had such an experience recently. She was convinced that her kundalini had vanished forever, but I assured her it would ultimately return. Then unexpectedly, after long absence, it was back again: "luminous floral essence in my heart, incredibly...she...incredibly pure sweet bliss beauty." Narayani suggests that this hiatus is the time for integration, rather than rapture. I agree with this suggestion, but I also feel that integration may well be followed by reawakening of earlier bliss energies, for they are part of the same process. Nothing is lost, all is regained, again and again, as our systems are being reshaped into a new configuration. All is part of the evolution of consciousness which is occurring worldwide. Have you ever felt like you you LOST a spiritual experience or it WENT AWAY and you miss it? If so, you should know that this is a common obstacle on the path. Below is a story about how I learned about this lesson and cleared this obstacle in my life. 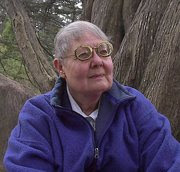 In 2002, I met a super magical enlightened teacher whom I spent a potent month with. My life changed rapidly from the inside-out. It was intense and powerful and I was in an altered state for several months. The teacher at that time explained that many people lose this enlightened state and so I did my best to hold onto it. But what I discovered is that I could not HOLD on because life as a human is in constant flux and perceptions are constantly changing. With support and over time, I learned the value of using my awakening experience to manifest and create the life I wanted to live. The key was not to HOLD ONTO the STATE but to integrate and apply it to walk a life of balance and joy. True Awakening cannot go away. Truth is that this process of integration takes time to digest and requires the right environment in order to sustain. We can try to hold onto states of being - but it is not about the changing states....It is, however, all about the presence of awareness and how we show up for life. If you want more on this topic, check out this video blog where I share all about the subject of integrating awake states and I will continue to throughout the month in the vlogs as well as next week's Free Spring Equinox Activation TeleClass. he asked the staff to play a Rumi poem during his operation and received permission from Coleman Barks. Afterwards, he wrote an outstanding play/monologue about his experience and performed it in a highly professional way as his doctoral project. After his recovery, he climbed the arduous trail up to Macchu Pichu, and played in the handicapped olympics to demonstrate his renewed strength. Among other things, he traveled to see the mountain gorillas in Africa. His professional work became helping women set up projects in undeveloped nations abroad. He wrote two outstanding books on leadership and change and presented his ideas at Oxford. David is currently traveling in Jordan, traveling overland to see Petra, the famous site of the ancient city carved from rock. He is staying with Bedouins along the way. Above all, David is a precious friend. As well as being a world class adventurer, he is extremely loving and kind (and fun). He wrote today to say that he read some of my poetry at Petra, the ancient city carved from rock. This is an honor I would never have expected. In many respects, he exemplifies the qualities we hope for in the highest manifestation of the Kundalini process. He appears to have unlimited curiosity and energy. It is as if something inside has been released, and he goes about his world journey, embracing novel experiences and dedicating himself to improving the lives of others along the way. certainly an outstanding present for my birthday, coming up in a few days. I am very moved by this tribute. Thank you, David, for this and all the gifts you have given me. It is indeed a stroke of good fortune that you have been part of my life for so many years. I will be hosting a special event with my dear friend Adam Bucko to raise funds for Sacred Activism Kashmir. Here is the release on the event details, I hope you will join us. For as long as there has been suffering in the world, there have been teachers and guides who sacrificed their lives to freeing others from pain and misery. Never before, however, have the stakes of suffering included the wholesale destruction of ecosystems and nations. With the recently released, dire reports by climate change scientists and the massive social destabilization caused by our unsustainable consumer culture, it would seem weíve reached a turning point in which we will either finally learn how to live in peace or else follow the many other species whoíve been made extinct by humanityís unchecked greed. Author, poet and activist, Andrew Harvey teaches that the key to our survival during this period of chaos is activating a sacred relationship with every level of existence. On March 10th, at 9PM Eastern, he will be joined by fellow sacred activist, Adam Bucko to discuss in practical terms how one can achieve this. We will learn that unless our love for the divine, animals and our fellow human beings is expressed as love in action it is not love at all. During this crucial turning point itís more important than ever not to give in to feelings of despair and low self-esteem. Andrew and Adam will challenge us to join a network of ìordinary giversî who have been activated to ìdo what they can within their means.î They will show how by simply asking, ìWhat can I give?î we can break free from being impotent slaves of the machine and remember who we really are: a network of ordinary people who are incarnations of a divine living love. You can be a part of the conversation and interact directly with Andrew and Adam by signing up for a registration donation of only $10, which also includes unlimited access to the recording in case you miss the live session or wish to watch it again. All proceeds of this 90 minute, video discussion will go to Andrew Harveyís fundraiser for victims of the 2014 floods in Kashmir called Sacred Activism Kashmir. His goal is to raise $50,000 to help four families and a school rebuild after losing their homes and livelihoods. With the exception of PayPal fees, every penny you donate will go directly to Kashmir through Andrew personally, who will be traveling to the region to oversee the reconstruction efforts. The devestation of the sacred land and people of Kashmir is ongoing. If you can't attend the webinar we still hope you will help support this cause. You can read Andrew's personal letter asking for your help and contribute to the campaign directly here. We look forward to you joining us LIVE, on Tuesday, March 10th for this very special online event. Copyright © 2015 Institute for Sacred Activism, All rights reserved. can only be found in the desperation you struggle to avoid. stock-still and sink into utter desolation? through your own heart's desires. Be ever so quiet now. Their whispers will lead you. (I do not know who wrote these translations. Recently, I have been in touch with a wonderful woman who lives in Italy. She came across my poems and has been translating some of them into Italian, for her own pleasure as well as that of a few friends. I do not know Italian, but I can tell that the verses are indeed much more musical in this language. As I read them silently––or even aloud–– these softened syllables ring gently in my ears and offer a new dimension to the poems. 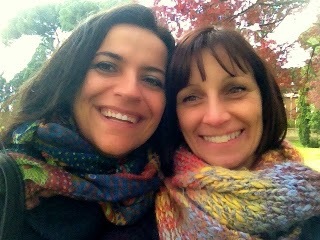 Here is the website created by Daniela and her friend Stefania Fiocci: http://www.inspiral.it/en/ Look it up! and ask, –What are these? il litigio e la riconciliazione. di legno annerita dal mare. né ricorderai il loro uso. e chiederai, - Cosa sono questi? La loro funzione o rilevanza? Ho bevuto da un pozzo profondo. i corpi vestiti solo di ceneri e tinta. Dio lo ha cerchiato su una mappa per te. per localizzarti nello spazio sacro. tracciando labirinti per la tua fuga? dal fresco suolo del tuo corpo. il coronamento del tuo risveglio. Non fare liste, non esplorare antiche ragioni. A drop of honey on the tongue? to the darkness he wants for lover? as you were being born? una goccia di miele sulla lingua? l'oscurità che vuole per amante? un fantasma consumato dal fuoco.